History – BJJ India was established by Arun Sharma in the year 2009 with the purpose to spread the art & culture of Brazilian Jiu Jitsu in India. Under the guidance and vision of Professor Rodrigo Teixeira, BJJ India is affiliated under RTBJJ & FJJ Rio, Brazil. Founders – Professor Teixeira is 4th Degree BJJ Black Belt & multiple times Pan Ams and World Champion. He had also competed & won in old school Vale Tudo fights in Brazil. Arun Sharma is the founder & head instructor of BJJ India, He is a Brown Belt under Professor Rodrigo Teixeira. Lineage – Keeping The Legacy Alive !! 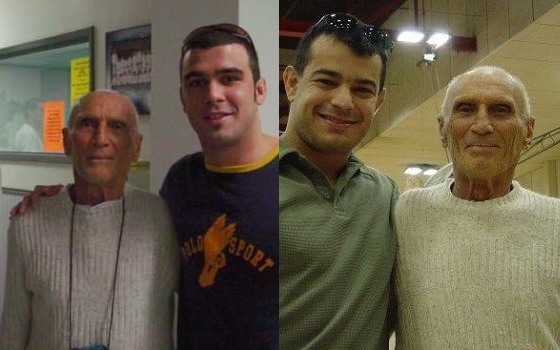 We are under the prestigious lineage of Grand Master Helio Gracie & Grand Master Carlos Gracie. Our detail rich training methods & mindset are directly derived from the Teachings of Professor Rodrigo Teixeira & his Brother Professor Pedro Carvalho who is a 5th Degree BJJ Black Belt. Rodrigo & Pedro have over 35 Years of BJJ Training & Teaching Experience with some of the most legendary BJJ Masters like Helio Gracie, Sylvio Behring, Alvaro Barreto, Rickson Gracie, Rigan Machado, Jean Jacques Machado & Ricardo De La Riva. Training & Teaching – We keep the training environment very safe, clean and friendly which ensures injury free training & fast progress in learning & understanding the art. We have Gi & No Gi classes suitable for all the age groups and genders. Our students learn the self defense aspect of the art first and foremost so that they can protect and defend themselves and their loved ones. We offer programs like Kid’s Bully-Proof, Women’s Self Defense, BJJ for MMA & BJJ for Military & Law Enforcement Agencies. Aims & Ambition – Along with our regular classes, we organize & conduct regular Workshops/Seminars in Schools, Colleges, Corporate & NGOs. Culture & Philosophy – The goal of BJJ India is to spread the art and culture of BJJ throughout the country for the betterment and safety of society. 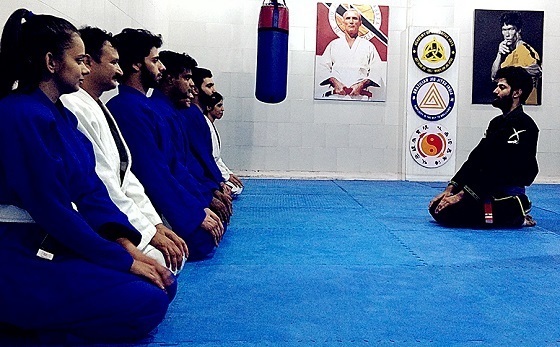 Being the first academy in India spreading traditional BJJ, we keep the culture and purity of the Gentle Art alive.